Kylie Jenner has given birth, she announced the news on Instagram. I’m sorry for keeping you in the dark through all the assumptions. I understand you’re used to me bringing you along on all my journeys. my pregnancy was one I chose not to do in front of the world. I knew for myself o needed to prepare for this role of a lifetime in the most positive, stress free, and healthy way i knew how/ there was no gotcha moment, no big paid reveal i had planned. I knew my baby would feel every stress and every emotion so I chose to do it this way for my little life and our happiness. pregnancy has been the most beautiful, empowering, and life changing experience I’ve had in my entire life and I’m actually going to miss it. I appreciate my friends and especially my family for helping me make this special moment as private as we could. my beautiful and healthy baby girl arrived February 1st and i just couldn’t wait to share this blessing. I’ve never felt love and happiness like this i could burst! Thank you for understanding. The post gained 100,000s of comments from well wishers in minutes and racked up millions of loves in under an hour. The father is 25-year-old rapper Travis Scott, who Kylie Jenner met after breaking up with on-again, off-again, boyfriend Tyga in May 2016. Kylie’s last Instagram post before the baby announcement was on Christmas Day, pretty normal for most people but a literally, unimaginable time between posts for the Kardashian family. The video says she had a daughter on February 1, 2018, weighing 8lbs 9oz. It also includes lots of candid footage and interviews with Kylie’s friends and family talking about her finding out about the pregnancy and how she was looking forward to motherhood. 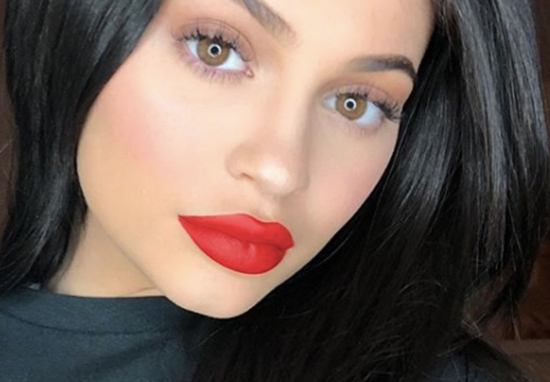 20-year-old Kylie took a break from social media during the pregnancy, leading to lots of speculation. For most people taking a step back from social media wouldn’t be a huge deal, but Kylie has 101m followers on Instagram and has shared almost every minute of her adult life online. Not to mention the fact that almost every aspect of her work and life is powered by her huge online following. It’s fantastic news that Kylie’s baby is healthy, pregnancy is a scary time no matter who you are. Her daughter has an interesting life ahead of her as she’s been born into a family like no other on earth.